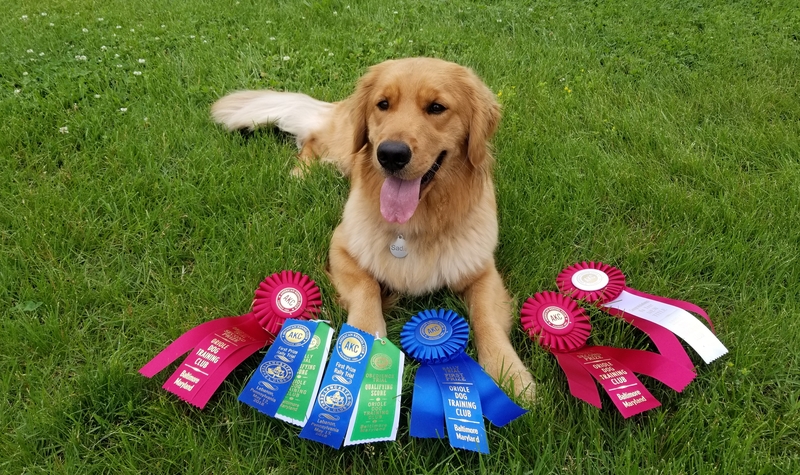 This weekend Sadie showed four times at Oriole Dog Training Club’s Rally and Obedience Trials. 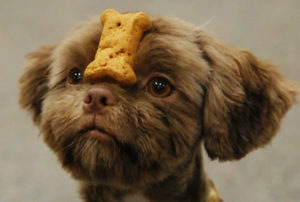 She showed once in Rally, making her debut at the next level up (Advanced B), and three times in Novice B Obedience. Her first time in the ring was for Novice Obedience on Friday Night. She did a great job, all the way until the last exercise when she broke her stay to accompany me to the leash. Darn. If she fails one exercise, she fails the whole class so we had to chalk that one up to a learning experience. She also showed in Rally Advanced B on Friday. She was originally entered in Novice at this trial, but since she recently finished her title we decided to move her up to Advanced. I was a little worried that Sadie would balk at the jumping exercise since she has had limited exposure to jumps and had never jumped over a bar jump. Luckily, Sadie didn’t bat an eye at the new jump and ran the course perfectly. She scored 100/100, and took first place! 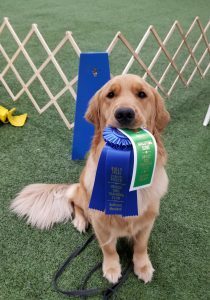 On Saturday she only showed in Obedience and did another stand up job in Novice, and this time qualifying in all the exercises. She did have one major fault (a no sit during heeling), but even despite that, she earned a score of 195/200 and second place! Sunday we had a repeat performance. This time instead of missing a sit during heeling, she stood on the recall exercise before being call. That costs us some points but she managed another score of 195/200, and another second place! We will take it! I’m very pleased with Sadie’s performances this weekend. We are already hard at work on the Open exercises, and doing a bit of review on those sits, since that was clearly our weak point this weekend. Hopefully you will see her in the open ring this fall!